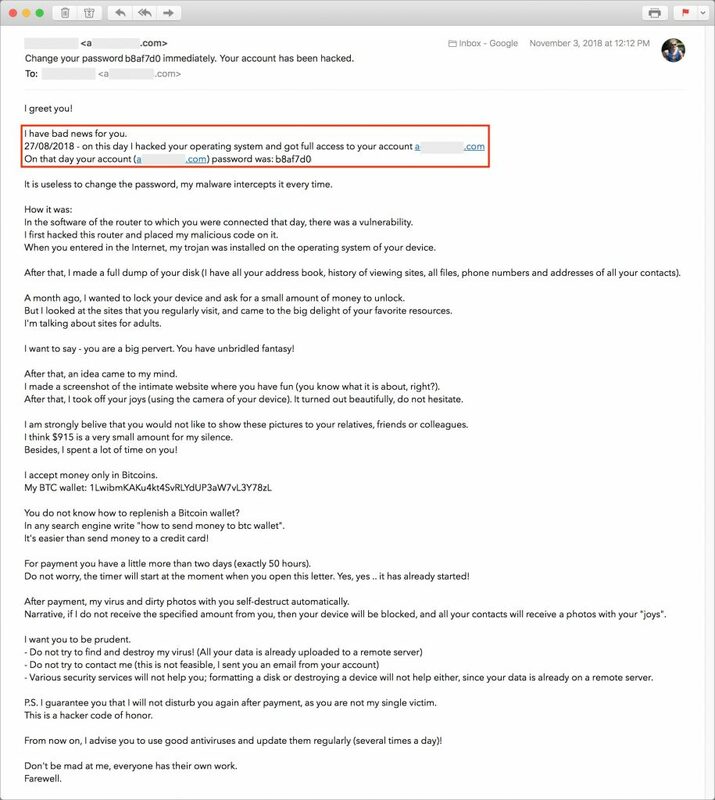 This “blackmail spam” has been making the rounds on the Internet recently—we’ve heard from several customers who have received it, and we’ve gotten copies too. The message alleges to be from a hacker who has taken over your Mac and installed spyware that has recorded you visiting Web sites that aren’t exactly G-rated. The hacker also claims to have used your Mac’s camera to photograph you while you’re browsing said non-G-rated sites and threatens to share those pictures and videos with your contacts and erase your drive unless you pay a ransom using Bitcoin. However, if you’re still using the password that appeared in the message, that is cause for concern, and should prompt your to immediately change it. 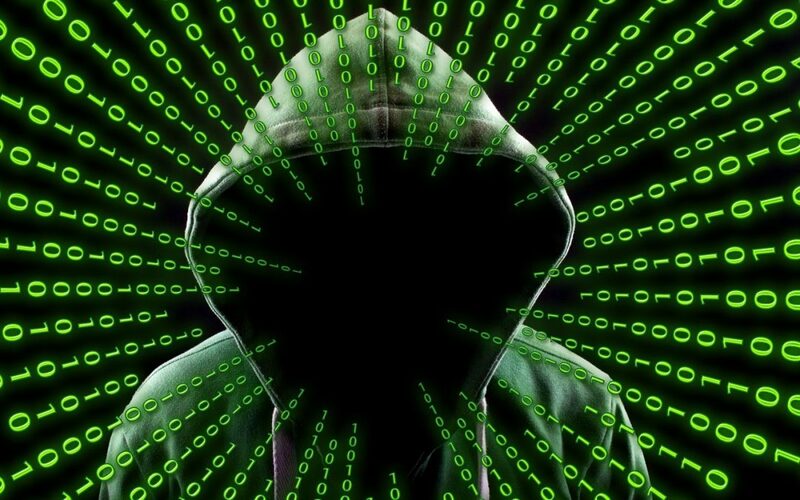 It means that any automated hacking software could break into the associated account, and it must be a weak password if the bad guys were able to decrypt it from the stolen password files. Go to Have I Been Pwned and search for your email address. If it shows up for any breaches, make sure you’ve changed your password for those accounts.